I'm so glad that we had Premier Entertainment DJ our wedding! Darrin was great to work with. He really knows how to read a crowd and play music to keep everyone dancing! We are still getting compliments on our music! 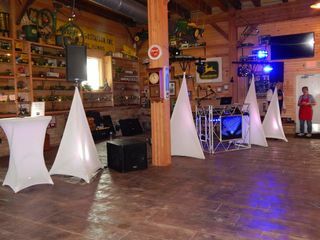 I would definitely recommend Premier Entertainment to anyone looking for a DJ!! Overall Darrin did a great job as our dj at our wedding. He kept our guests dancing all night long. His up lighting was spectacular and the kiosk was a great add-on. He also gave the children glow toys which kept them Dancing and entertained them throughout the night. The only suggestion I have for Darrin is to transition the song soooner so the song doesn’t come to an end and leave the guest hanging while dancing. I really appreciate Darrins professionalism and going over and beyond for our wedding day. I defiantly recommend him for any other event that needs a dj. Darrin was wonderful to work with. He was enormously accommodating, professional, and prompt. The music was great, and it was such an added bonus to have all of the photos they took the day-of. I would HIGHLY recommend Premier Entertainment! Premiere Entertainment was so great through out this entire process. Very easy to get in touch with, very professional sounding and looking equipment and most importantly, GREAT MUSIC! They kept the reception running smooth all through the night. Awesome people to work with and would highly recommend to anyone. Premier Entertainment was our DJ at our wedding on 6/18/2018. They did an amazing job and our guests loved them! 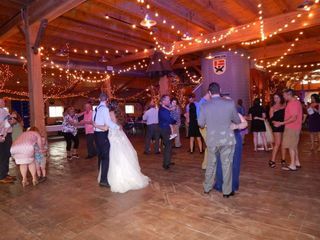 It was 100 degrees with the heat index and our guests still wanted to dance! The day after the wedding they sent us pictures and videos that took of the reception - they turned out great. You can't go wrong with Premier Entertainment! Premier Entertainment was fantastic! We met with them 2 times to go over songs, which made us feel more at ease about everything. They made our wedding so special. We also love all the pictures that they got from the night!! Excellent!!! I would highly recommend!! Darrin was professional, responsive, and helpful throughout the planning process. At the wedding all Premier Entertainment staff was fantastic. 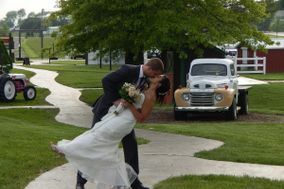 They also provided pictures and videos via flash drive days after the wedding. I can’t say enough great things about them. They are affordable and well worth the money! We are so glad that we chose Darrin and Cheryl to help us with the music for our wedding! They did a fantastic job! Darrin was so easy to work with and made sure the music that was played was the music WE wanted, not just what is currently popular. Darrin even made sure to play my grandparents' song, which really meant a lot to them. Cheryl also took a bunch of pictures during the wedding, even getting pictures that I had wanted (but forgot to mention to the photographer) without me even mentioning it! We are so grateful for the amount of time and thoughtfulness that they put into making our wedding so special! Would absolutely recommend Premier Entertainment for any wedding or event! Darrin and his wife were so friendly and made our reception run so smoothly. 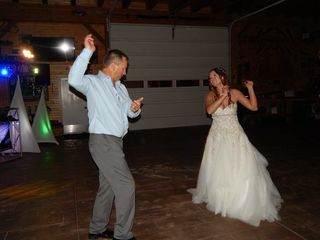 He was great with his song selections and kept the dance floor busy and crowded! I highly recommend! Premier Entertainment was a fabulous choice! Darrin was so helpful in the entire planning process. Unfortunately my outdoor wedding got rained on and moved to a different location. Darrin acted with the utmost professionalism and made everything a seamless transition. 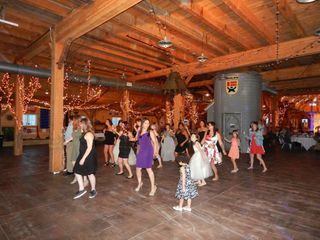 I was completely winging the "plan b" reception plans and with the help of Premier Entertainment none of my guests had any idea that my reception didn't go quite as planned. Everyone had a wonderful time and loved the music selection! Darrin of Premier Entertainment was awesome the whole way through planning our wedding. He made sure he knew exactly what we wanted played for music and picked great music to go along with that. We even had to move our outside reception inside, and he found a spot and set up perfectly. I couldn't have asked for anything more from Premier Entertainment, best DJ and entertainment service around! Very professional and on point! Pleasant to work with and would highly recommend! Great husband and wife team she even took pictures and sent them to us on a flash drive at no additional cost which was an unexpected bonus! Very on-point and professional Service! Darrin and his wife are INCREDIBLE! They kept everything on a flexible but structured timeline so everyone knew what they were supposed to be doing and where to be. They played the best music that kept us dancing all night. They not only had us dancing but they took amazing pictures and videos that we will cherish forever! Priceless moments that otherwise would have been missed! They are professional, affordable, timely, and so much fun! I will recommend them time and time again! Fantastic people, fantastic conpany! Highly recommended. Darrin and his team were absolutly wonderful! Everything we could have asked for in a wedding DJ service. He was the easiest and most professional vender we worked with during the whole process. We were lucky to have picked Darrin! I will absolutly recommend him to anyone I know getting married! Darrin and his team were wonderful to work with. By far the most professional vender we used for our entire wedding. We met with him a bunch of times to make sure we were on the same page and the night of the wedding was perfect! I would recommend Darrin to any of my friends and family!! Darrin, and the entire Premier Entertainment team, were an absolute pleasure to work with. Planning a wedding can be so stressful, so it was such a relief to know we were in good hands. Quick response time, extremely flexible, and very affordable for the quality of service. You can tell they've been doing this a long time - their suggestions and advice was always spot on. Highly recommend to all brides and grooms! Darrin and his wife were absolutely wonderful to work with! Extremely friendly and very prompt! Thy were extremely helpful. They know how this whole thing works so we put the matter in their hands and they owned the dance floor at our wedding!